I know I talk about blogging A LOT. But there is a reason for it, and that's because blogging has been a lifeline for me. Before I began my blogging journey, I worked as a nurse. I worked at a pediatric hospital where I saw terrible cases of neglect and abuse. I cared for children with life-threatening diseases, and I had seven children almost die in my hands. Just writing this I get teary eyed. To say it was a stressful and emotionally challenging job is an understatement. After a year of sleepless days (I worked the night shift) and many panic attacks later, I decided to try another avenue within the nursing field. So, I started working in the insurance industry, on the Medicaid contract. This desk job was a welcome and much-needed break from the hospital. But, this position required me to be on the phone for the majority of the day, which after a while became exhausting. Providers and nurses would become irate with me because I could not approve their services. Not to mention the majority of the nurses that worked in this department were disgruntled and unhappy, which made for a very toxic work environment. Within a couple of years, I was burnt out again. Over the next few years, I tried my hand at medical record review and pharmaceutical research. But I was never fulfilled in my nursing career. I wanted to leave the field, but I had no clue what I should or could do. When my daughter was born, I knew that I wanted to spend every minute I could with her, so I happily quit my nursing job. I saved as much money as I could during my last nine months of employment. But sadly, what I thought would last me a couple of years was gone in eight short months. It was at this time I started looking for work-at-home jobs. I honestly had NO CLUE what I wanted to do, all I knew was, I didn't want to return to the nursing field, ever! I searched online every single day — but my searches only revealed scams, marketing schemes, and poorly done websites. So, I asked friends and past employers if there was any work that I could do for them from my home. My efforts eventually paid off, and I started working ten hours a week from home doing marketing research. Even though I had money coming in, I was still thinking about the future of my career. You see, my husband and I agreed that I would take five years off to stay-at-home with our daughter, but then once she started school I would start working full-time again. It was a combination of my online job search and my cluelessness of what to do with my life that gave me the idea for my blog. I started blogging in 2009, and I made my first my first sale two months later. My initial goal was to earn $500 to $700 a month with my blog. Each year my blogging income grew, but only by 20 to 30 percent. So, even though my blog was making money, I still had to work my part-time marketing gig. When my daughter went off to kindergarten, I wanted to focus all my time and energy on my blog (because this is what I LOVED), but I had trouble gaining the traction that I needed to make it my full-time career. So, I started freelancing more hours. Over the years, I read a lot of blogging books and courses, and I even hired a business coach and joined a writing group — but my blog continued to grow at a snail's pace. In early 2014, I purchased Ruth Soukup's book, How To Blog For Profit: Without Selling Your Soul. It was the first book that I had read in a LONG time that had some real meaty information that I was able to apply to my blog. In fact, I re-read the book several times that year. Later on that year, Ruth released a blogging course called, Elite Blog Academy. 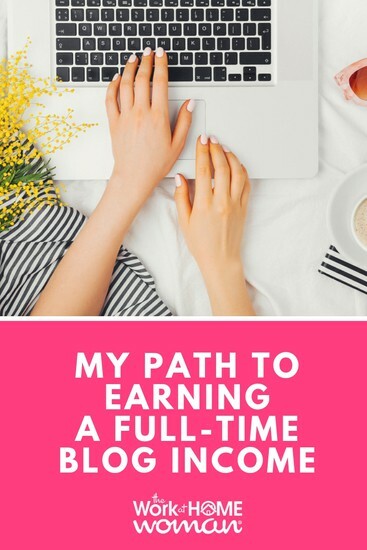 I knew that Ruth shared amazing content, because I had read her book, and as a blogger who earns seven figures each year from her blog, she obviously knows what she's doing! Even though the course was expensive, I signed up and made it my goal to earn enough from my blog to be able to quit my freelancing gig. Within two months, I was able to increase my traffic by 66 percent. And from there it kept going up and up. In one year, I was able to increase my blogging income by 150 percent which allowed me to quit my freelance marketing job. For the last five years, I've earned a full-time income from blogging. Elite Blog Academy gave me a detailed road-map and clarity on how to take my blog to the next level. Something that I couldn't figure out on my own. But besides the monetary gains, it gave me complete freedom over my time and my career. I've finally found my dream job which is an amazing feeling! I LOVE what I do, so much so, that it never even seems like work! When I think back to my nursing days and how miserable I was, that sometimes I feel like I need to pinch myself. Do you want to earn a full-time blogging income? Are you wondering if Elite Blog Academy is for you? Enrollment for Elite Blog Academy only opens up ONCE a year — which is March 4th – March 8th, 2019. So, if you know if you're interested — join the waitlist here. What is Elite Blog Academy? Elite Blog Academy is a complete blogging course that gives you a step-by-step roadmap for success, starting with how to refine your message, grow your audience, monetize your platform, and finally build your business. The course itself contains 4 modules, 12 units, and 36 assignments that include videos, slideshow presentations, and handouts. Each module builds on the previous lessons, and together the modules will give you a clear, comprehensive framework for creating a successful and profitable blog. The thing that I like about EBA, is that every couple of years, Ruth completely updates the whole program to reflect what's going on in the digital space. So, when you purchase EBA you get lifetime access and updates for life. You'll also receive access to the private EBA Facebook Group — which is a great place to ask questions, get advice, and find an accountability partner. Now, you may be wondering how much access you'll have to Ruth herself, and the answer is not a whole lot. She pops in occasionally for Facebook Lives, but much of the communication done within the group is through her team. Who is the Course Taught By? Elite Blog Academy is taught by seven-figure blogger and business owner, Ruth Soukup. Her personal finance blog, Living Well Spending Less receives more than a million visitors a month. Having met her in person, I can tell you firsthand that she's incredibly passionate about helping other bloggers achieve massive success. I got so much out of Elite Blog Academy that in 2016 I joined EBA VIP, which is a mastermind group for advanced bloggers. Is Elite Blog Academy Worth the Price? The cost of tuition this year for EBA is $997 and payment plans are available. When I took Elite Blog Academy back in 2014, I believe I paid $500 for the first version of the course. And let me tell you, I was hesitant about the investment. But just two months into the course, I was already seeing results. Before taking Elite Blog Academy, I was only earning $21,000 a year from my blog, and now I'm making six-figures a year; more than I ever made as a nurse. EBA was a game-changer for me, and I honestly don't know where I would be if I hadn't of taken it. But, with that being said, if you're going to invest this much money in the course — you have to be willing to commit to the work and process. If you're the type of person that isn't good at seeing stuff through, I wouldn't recommend purchasing this then. 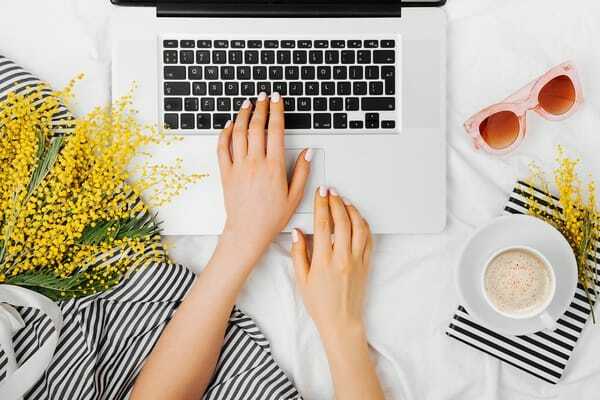 This course is good for ambitious beginners and intermediate-level bloggers who are looking to grow, and who need help with increasing traffic and income. This course starts with the premise that you already have a basic understanding of the fundamentals of blogging. And you should, of course, have a self-hosted blog, some basic plugins, and social media profiles already in place. Yes, but, it's not the type of thing that you can purchase and take a quick peek to see if it's right for you. You'll have to complete the course, and then if you DON'T see measurable results in both traffic and income growth, Ruth will give you a full refund. I'm an affiliate for EBA, but, that's because I've taken it and it's helped me tremendously on my blogging journey. It may be a good fit for you too — but only you can decide. If you have questions about the course, feel free to send me an email at holly<at>theworkathomewoman.com — I'm more than happy to honestly answer your questions. Keep in mind, Elite Blog Academy only opens up once a year — so if you want to enroll, be sure to get on the waitlist here so you don't miss your window of opportunity. Originally published on February 7, 2016. Content Updated on March 1, 2019. Can I receive a copy of your Blogging E-book please. Can I be completely blunt and ask what the average monthly pay is for a new blogger? I have a degree in public relations and marketing, but after realizing I was going to basically have to move to NYC or work for less than my current cost of living before getting a “break” in the industry, I decided to go back to school for nursing. Since then it has been a roller coaster of loving and hating my job all at once. The patients deserve my time…the hospital does not. I’m getting married soon and desperate to find something where I can make dinner at a normal time and not be so stressed that I cry into the spaghetti I just made. Blogging seems like a perfect fit…but I want to make sure I can actually make money with it…enough to live on at least. Thoughts? My path to earning a full-time income was slower than most because of a couple of reasons. First, I treated my blog as a side gig because I was caring for my daughter full-time. Second, I was also working a freelance marketing gig — so that took up a good chunk of my time. Once my daughter started kindergarten and I dropped the freelance gig — I was quickly able to ramp up my income. That’s great and so exciting, Ashley! What is your blog about? Oye, nursing was tough! I’m so glad that I found a way out!